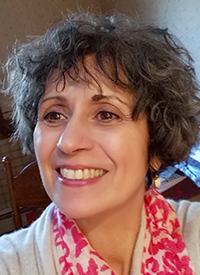 Diane M. Caracciolo’s research interests include the role of the creative imagination in education; the historical and educational relevance of Adelphi’s Children’s Centre for the Creative Arts; and the healing potential of the creative arts. She co-edited, along with Adelphi faculty Courtney Weida, the book The Swing of the Pendulum: The Urgency of Arts Education for Healing, Learning, and Wholeness, and her academic work has been published in numerous professional journals. She is also the recipient of grants from Adelphi University and Teachers College, Columbia University. Caracciolo earned her Ed.D. in Art and Art Education from Columbia University Teachers College and her M.A. in Speech Arts and Educational Theater from Adelphi University. She also holds a B.A. in English from SUNY Binghamton.